Everyone in Atotonilco had heard of the Fabrica Santa Rosa’s suspension due to COFEPRIS’ (Comisión Federál para la Protección contra Reisgos Sanitarios) and SAT’s (Servicio de Admistración Tributaria) prolonged “Juntos Contra la Ilegalidad” (“Together Against Illegality”) crusade to reduce illegally produced alcoholic beverages on the Mexican market. Many were shocked since Embajador’s outstanding reputation for producing top notch tequilas had been stalwartly guarded–and envied–for years. Collectively, the crew at Fabrica Santa Rosa was still reeling from the aftereffects of the shutdown. A few described these agencies’ G-Men as acting arrogantly and condescendingly. Certainly, this was no way to treat a group of professionals who had many years of extensive experience in distilling frontline tequilas to the strict adherence of the normas. Individually, each recounted how he or she felt ambushed by the government officials and bum-rushed by the deliberate escalation of what were considered by many high ranking officials in the industry as minor—even laughable– infractions. 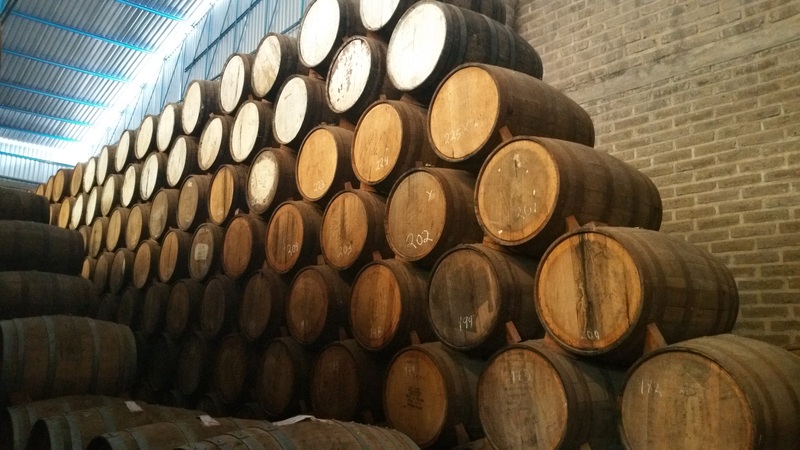 Despite that, neighboring tequila distilleries were shaking in their boots wondering if their stored tequila would be targeted by those government agencies’ assault that existed only to add more liters of seized juice to their latest numbers. @EmbajadorTquila: invites you to peek inside its Open Doors. In fact, the concerned brand owner’s tequila who inspired my Bullying In Tequila editorial during the early stages of Embajador’s closure, is distilled just up the road from Fabrica Santa Rosa. In this clip, we entered through the iron gates of the perimeter of Tequila Embajador. The rows of estate grown agave and the rich, red soil of Atotonilco el Alto took center stage. 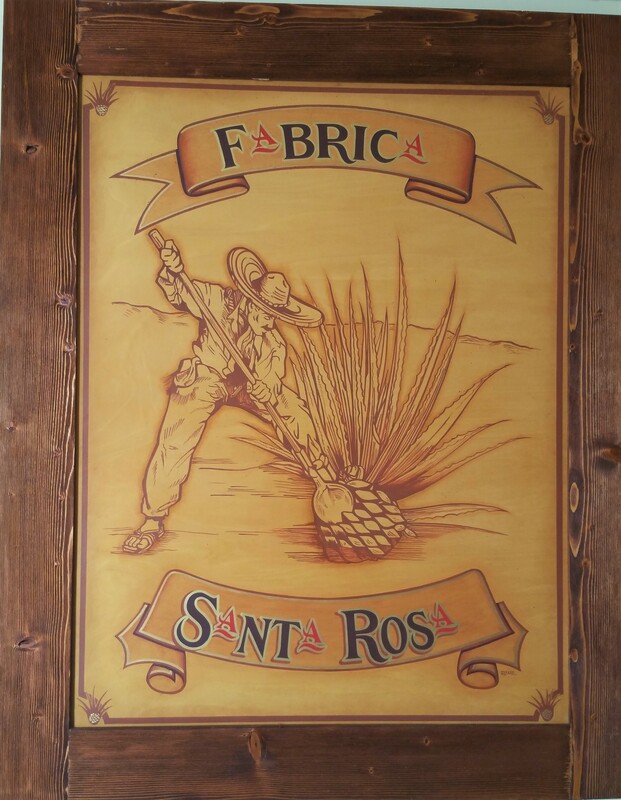 Once we parked on the property, the charm of the Fabrica Santa Rosa took over. Here’s where it all starts: three autoclaves, from 40,000 KGS to 25,000 KGS in capacity, plus 2 ovens of mamposteria (brick/stone masonry). The cook time in autoclaves is approx 10 hours; in ovens it’s 24 hours. Embajador is a combination of both of these methods. Opening the iron door of one of the masonry ovens and taking a peek inside. As you can tell, it’s quite a chore. 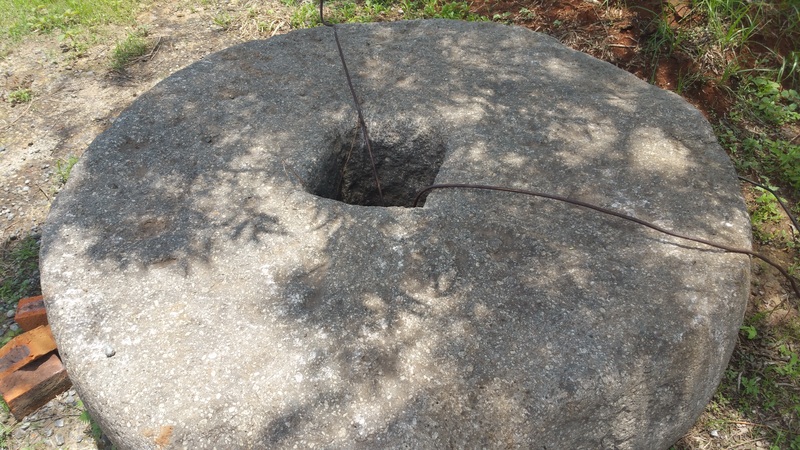 A tahona for the boutique distillery. Older agave vs. younger agave; and healthy agave vs. diseased agave. If you put either of these through the same process, you won’t get the same results. Cooking time varies with the time of year, as well. That’s why there are master distillers with years of experience in the variations that can affect the final outcome. Also, the seasons of the year makes a difference (summer vs. winter). The agave is an extraordinary organism, continues Francisco. One of the most adaptable plants ever created. It can exist in the desert or near the coast. Wherever water is abundant, or in extremely arid climates. @EmbajadorTquila: Adjusting to variables. See for yourself. Francisco outlines that when they harvest during the colder months, the agave defends itself with a special coating that they must adjust for. Variables like pressure, cook time, water temperatures at shredding, and above all, fermentation and distillation. Otherwise, the tequila produced appears cloudy and bitter even though you’ve followed the same recipe as before. Francisco discusses the importance of fermentation and distillation, and how they are equally influential elements within the tequila making process. The type of yeast used during fermentation is also important since some can produce more higher alcohols than others, which is in violation of the normas. Framework surrounding a new shredder. 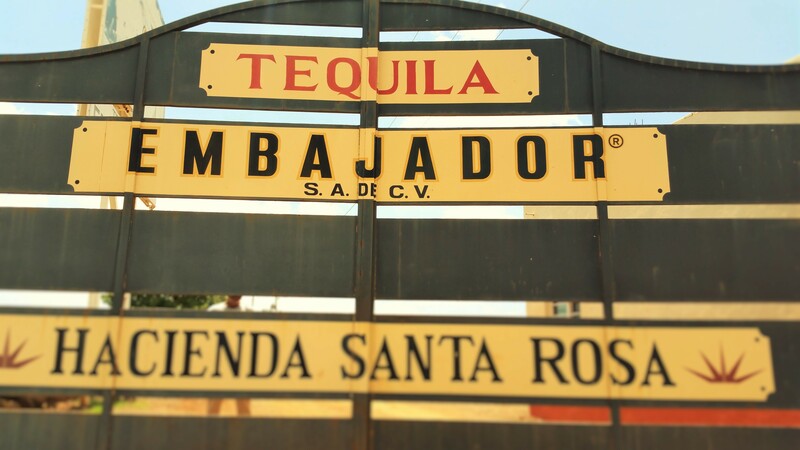 Embajador uses proprietary yeast made from their own estate grown agave. Fermentation time also varies depending upon the time of year (warm vs. cold weather). We witnessed the ongoing construction on the grounds leading to its phased in expansion that would eventually include a boutique distillery within the larger Embajador distillery. It will include a tahona, barrel room, gift shop, and an historically accurate re-creation of a vintage working tequila taberna, among other things. 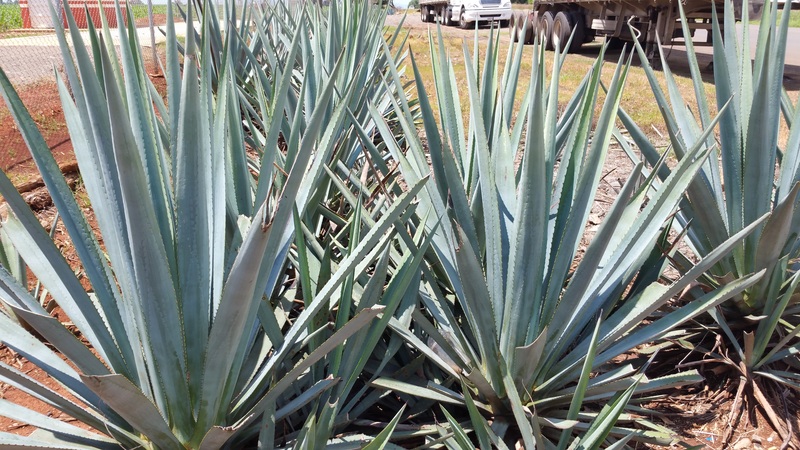 @EmbajadorTquila: An Eco-Friendly #tequila distillery. The mini distillery is estimated to be completed by the end of 2016, with the remaining improvements to be finished within a year. Aiming to cut down on the distillery’s carbon footprint, the eco-conscious family recently modernized the fabrica by installing a boiler to heat water used in the plant. 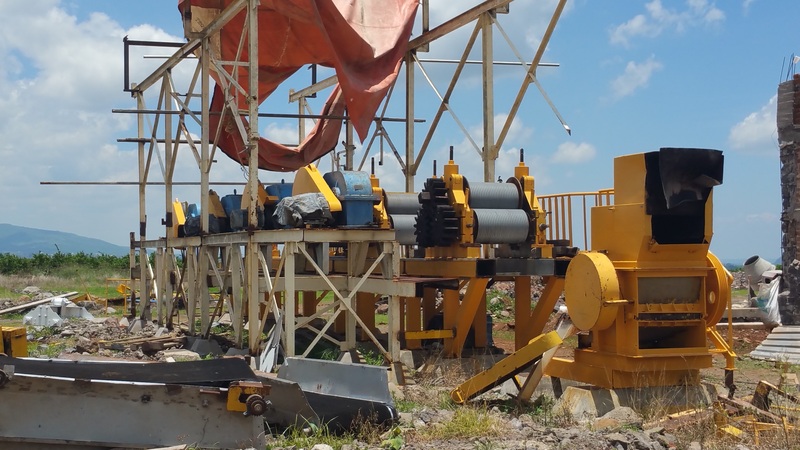 It runs on a combination of leftover bagasse (bagazo) from shredding the agave and wood chips. Licenciado Cristobal Morales Hernández, legal representative for Tequila Embajador and the Fabrica Santa Rosa, describes what he sees for the immediate future of Embajador in two to three years, including the improvements and growth projected for the distillery. He also takes into consideration the ramping up of the volume of the plant’s production without suffering a dip in quality of its consistently exceptional juice that they have proudly maintained for 12 years. He concludes that the buying public should continue to expect the same lofty standards of prizewinning tequila and he acknowledges that the situation concerning the mandated stoppage in production was simply a lesson learned. Lic. Morales relays what he wants consumers to know about Embajador. He graciously extends a heartfelt invitation to the public to see their more than adequate facilities for themselves. He ensures that Embajador is strictly adhering to Mexican and global regulations, and that when the public samples any of the tequilas produced at the fabrica that they can be assured of its propensity for high standards of excellence. @EmbajadorTquila: same lofty standards of prizewinning tequila. Taste for yourself.